Lowell, MA – November 27, 2018 – Rapid Micro Biosystems, a leading provider of automated, non-destructive, rapid microbial detection, is pleased to announce the appointment of Scott White as Vice President of Global Sales. He reports directly to the company’s CEO, Robert Spignesi. 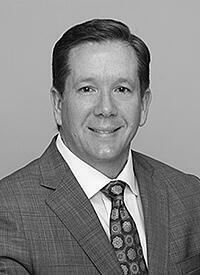 Mr. White has over 20 years of sales experience in the healthcare and technology industries. Mr. White spent 7 years in progressive roles at Intuitive Surgical (NASDAQ:ISRG), including Area Vice President for the US Southeast / Mid-Atlantic region. In this role, he led a 120-member sales team across 7 states and 270+ hospitals. Mr. White grew the region to consecutive #3 and #2 rankings in worldwide sales, and #1 in new technology sales, generating $200 million in revenue. Mr. White has also served as President of Compass Surgical Partners, a private firm that manages ambulatory surgical centers, Managing Partner of Surgery Center Development Co, a multi-specialty outpatient surgical center business, and in multiple sales roles at C.R. Bard, GlaxoSmithKline and Verizon. Mr. White holds an MBA in Finance from the University of Miami, and a BS in Business Administration from the University of Florida.